Existing Jura Sports athletes can sign in to Training Peaks here. Not a member? Register or contact us. Training Peaks is an online training platform for athletes and coaches. It provides the complete solution to track, analyse and plan training. At Jura we use Training Peaks as a tool to connect us with our athletes so that we can monitor and maximise performance as well as progression. I’M NOT A MEMBER, CAN I USE IT? Yes. Some training plans can be used as “read only”. To enable all the features, you must sign up to Training Peaks. The free version allows users to uploads their workouts, communicate with their coach and view training summaries. Jura Sports athletes can access the premium version of Training Peaks for just $9 per month and benefit from additional features. For the basic account, it’s free. For the premium account with Jura Sports, it’s $9 per month. 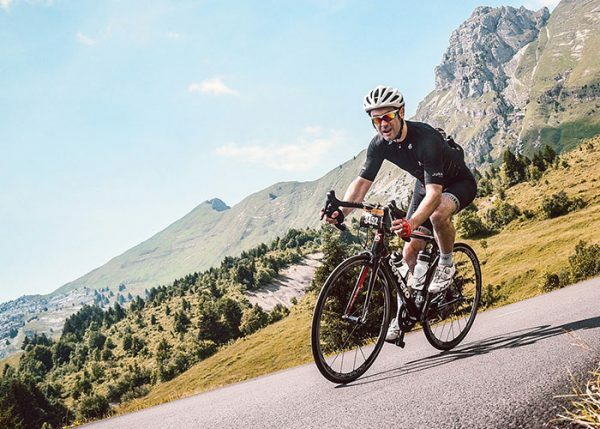 HOW DOES JURA SPORTS USE TRAINING PEAKS? Jura Sports uses Training Peaks to create workouts, plan monthly programmes and track fitness and results. We understand that even the most dedicated athletes require motivation from time to time. By monitoring training we keep our athletes focused, their training varied, and their performance increasing. My goal is to complete a long distance triathlon here in Spain, and I wanted to take my training to the next level. I contacted Thierry and have been really impressed with his professionalism and his dynamic approach to triathlon training. I struggled to balance my work, family, and training. But Thierry understood my situation, and adapted the program as a result. After a few months of training I can feel a big difference; I feel great. I can’t wait to see how far I can go with Jura Sports’ training.